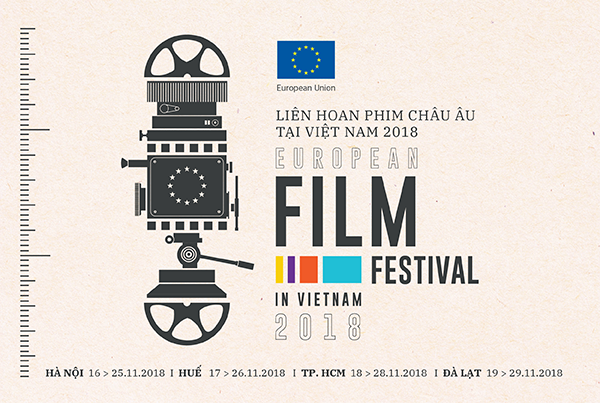 The European Film Festival is dedicated to offer Vietnamese people fascinating movies from Europe, the birthplace of cinematography and home to a number of prestigious international film festivals. The festival showcases Europe's rich cinema heritage, diversified culture and contemporary creativity. The 13 selected films this year mainly focus on the theme of "Family" presenting different aspects and stories in the family lives of European people. Especially with several international award -winning films targeting different groups of audiences from children, youth to adults, the festival is expected to offer Vietnamese movie lovers interesting and entertaining experience. Europe on Screen 2019 in Indonesia: 101 films from 27 European countries, 277 screenings, 13 days and 8 citiesEurope on Screen – one of the longest-running international film festivals in South East Asia – is coming back this year. Entering its 19th edition, this year’s festival will be held on 18-30 April 2019 in eight cities across Indonesia.